Products with whole grains use every part of the wheat kernel. The American Association of Cereal Chemists International (AACCI) defines whole grains as follows: “Whole grains shall consist of the intact, ground, cracked or flaked caryopsis, whose principal anatomical components – the starchy endosperm, germ and bran – are present in the same relative proportions as they exist in the intact caryopsis.” More information on the AACCI definition of whole grains can be found at www.aaccnet.org. Whole grains became a part of the human diet approximately 10,000 years ago, with the emergence of agriculture. For the past 3,000 to 4,000 years, a majority of the world’s population has consumed whole grains as a significant portion of their diet. Cereal grain kernels are composed of three main parts: the endosperm, bran and germ. Most cereal products – such as white bread or pasta – are made with kernels or flour that have had the bran and germ removed. The bran and germ are the highest fiber parts of the kernel.6 In order to be considered a whole grain, the bran and germ must be present in addition to the endosperm. In the production of whole grain flours of wheat, rye, barley, oat and maize, the kernels are broken, separated into milling streams containing endosperm rich white flour, germ and bran fractions and then combined in fixed ratios. They are categorized into two primary types: true cereals and pseudo-cereals. True cereals include wheat, faro, rice, barley, corn, rye, oats, millets, sorghum and wild rice, among others. Pseudo-cereals include amaranth, buckwheat and quinoa. The FDA is in charge of regulating whole grains and what constitutes a whole grain product. In order to be labeled a whole grain food, the FDA requires the product to contain 51% or more whole grains by weight. For more information on FDA requirements, click here. Jones, J., & Engleson, J. (2010). 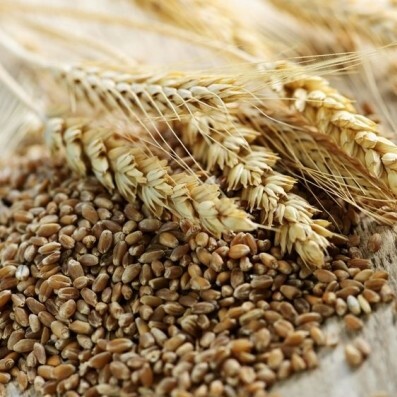 Whole Grains: Benefits and Challenges. Annual Review of Food Science and Technology, 1, 19-40. Lafferty, Anne, Len Marquart, and Marla Reicks. “Hunting for Whole Grains: A Supermarket Tour.” Journal of Nutrition Education and Behavior 38.3 (2006): 197-198. Slavin, Joanne. “Whole Grains and Human Health.” Nutrition Research Reviews, Department of Food Science and Nutrition, University of Minnesota (2004): 1-2. Wholegrainscouncil.org. Jonnalagadda, Satya S., Lisa Harnack, Rui Hai Liu, Nicola McKeown, Chris Seal, Simin Liu, and George C. Fahey. “Putting the Whole Grain Puzzle Together: Health Benefits Associated with Whole Grains—Summary of American Society for Nutrition 2010 Satellite Symposium 1 2 3.” The Journal of Nutrition 141.5 (2011): 1011S-1022S. “Whole Grains, Legumes, and Health.” Journal of Nutrition and Metabolism 2012.2012 (2012). van der Kamp, Jan Willem, Kaisa Poutanen, Chris J. Seal, and David P. Richardson. “The HEALTHGRAIN definition of ‘whole grain’.” Food & Nutrition Research 58 (2014). Franz, Mary, and Laura Sampson. “Challenges in developing a whole grain database: Definitions, methods and quantification.” Journal of Food Composition and Analysis 19 (2006): S38-S44. Sumanac, Dunja, Rena Mendelson, and Valerie Tarasuk. “Marketing whole grain breads in Canada via food labels.” Appetite 62 (2013): 1-6. Chu, Yen Li, Mary Orsted, Len Marquart, and Marla Reicks. “School Foodservice Personnel’s Struggle with Using Labels to Identify Whole-Grain Foods.” Journal of Nutrition Education and Behavior 44.1 (2012): 76-84.